The jaw crushers that we offer is recommended for crushing materials that contain small amount of lumps and coarse material. These are not ideal for hard material such as metals, ores and stones. We strictly check our crushers before we deliver them to our clients. 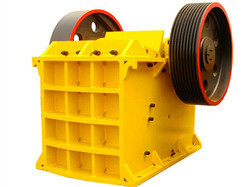 We also provide heavy duty jaws with the jaw type crushers. 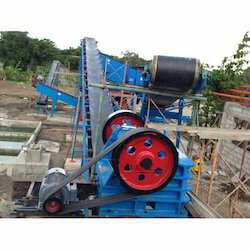 In order to cater the variegated demands of our clients, we are offering an excellent quality range of Heavy Jaw Crusher.